In the last few weeks the old pool building has come down, a temporary porta-dam has been installed and we have begun lowering the water in the existing pool structure so we can start construction on the two new pools. If you’ve driven by Rosemary Lake, you are starting to see signs of the construction project starting. Construction fence has been installed, signs have been posted, and paperwork and project details are being finalized. A silt boom has been placed outside the boundary of the work area in the lake, to protect the lake. The trail head to the Rosemary Trail that is located in the parking lot is unfortunately closed off during construction, as there is no area to carve out for a safe temporary trail. 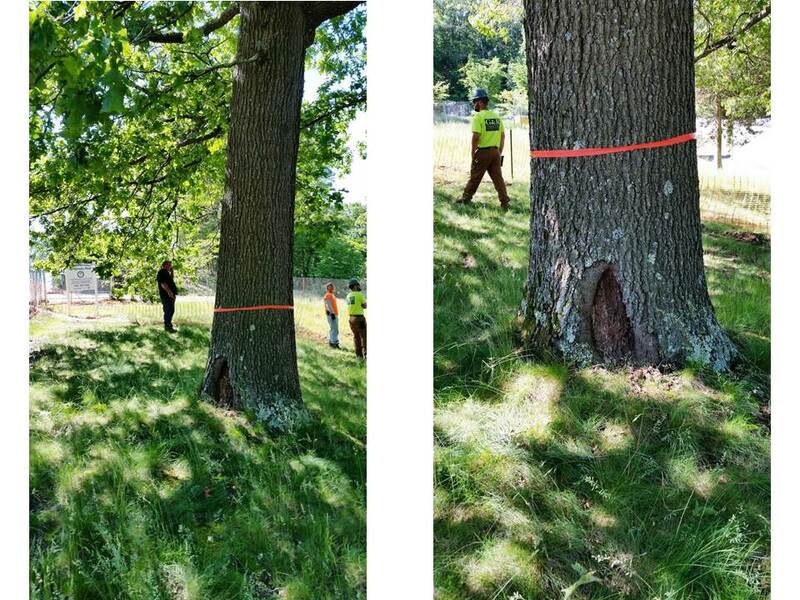 The DPW will be taking six trees to be replanted with Town parks, with possibly some returning to Rosemary next year. Some trees will be removed, as part of the construction plan, to be replaced with trees during the landscape portion of the project. In addition, about 40 types of large evergreens will be added to the site. Two trees are being removed due to their age and condition. Photos of one of the trees, which has a hollow core, can be seen here. 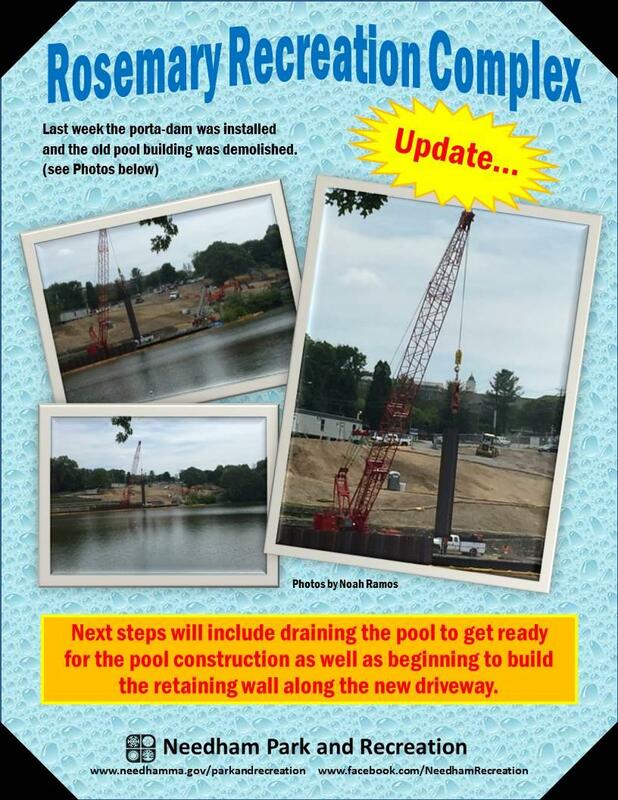 The Needham Park and Recreation Commission and the Permanent Public Building Committee (PPBC) have hired Bargmann Hendrie +Archetype (BH+A) to design the new Pool(s) at the Rosemary Lake site. BH+A began their work in August 2015 and will work with us through opening day of the new facility in 2018. Click on the left to find reports and documents related to the design phase of the work. The Park and Recreation Commission has also appointed an advisory committee of residents to provide non-binding recommendations throughout the process. The 2013 Feasibility Study provided by Weston & Sampson, along with other documents from that study can still be read on our website under "2013 Rosemary Study".